The Picture of Dorian Gray is a classic horror novel by Oscar Wilde. The tale of Dorian Gray’s moral disintegration caused a scandal when it ﬁrst appeared in 1890, but though Wilde was attacked for the novel’s corrupting inﬂuence, he responded that there is, in fact, “a terrible moral in Dorian Gray.” Just a few years later, the book and the aesthetic/moral dilemma it presented became issues in the trials occasioned by Wilde’s homosexual liaisons, which resulted in his imprisonment. Wow. I see why The Picture of Dorian Gray is so loved. I partially want to be mad at myself for waiting so long to read it, but I also feel lucky to be reading it for the first time. My only regret in listening to this one on audio is I didn't get the chance to highlight the text. This book is so quotable, I'd even give thought to highlighting a print copy. Sacrilege, I know. The writing is witty and amazing, but the story is amazing, too. I'm not sure how I managed to shield myself from what this story was really about all these years. It makes me hesitant to share too many details because the revelations in The Picture of Dorian Gray were the best part for me. Even though The Picture of Dorian Gray is a short book, I think it could have been even shorter. Every revelation made each new tangent worth it, though. The Picture of Dorian Gray is an amazing look at society, youth and beauty, and the arts. It's a "horror" novel in the way that Shelley's Frankenstein is a "horror" novel. There are supernatural things at work, but it's much more about the social commentary than the actual monsters. The horror elements are fantastic, but there is appeal for a much wider audience. I want to point out the version I listened to was narrated by Simon Prebble. There are several audios available for The Picture of Dorian Gray, but Simon Prebble reminded me of Jim Dale which is the highest compliment I can give a narrator. If you decide to give this one a listen, I would seek out the Simon Prebble version. My goal in life is now to hunt down the 1945 movie adaptation starring Angela Lansbury as Sybil Vane. Well, that's some pretty high praise! I just downloaded the audiobook. Depending on how work is for me today, I might have the story finished by the end of the day. Excited to see how my experience compares! Well, I didn't get as far into it as I would've like yesterday, but I can definitely agree that it is incredibly quotable. Outrageously so, at least at the beginning. It's amazing how quotable it is. I hope you found some more time to listen today. I would love to hear your thoughts on it. But I'll definitely share my final thoughts on it! Hey Jennifer! I had the luxury of a road trip, and now have final thoughts on the completed Dorian Gray! Good grief, what a book. I really liked it, except one chapter which I found painfully boring. My full review is on Goodreads. Thanks for the recommend, by the way! People have been telling me to read it for years, but it was your review that finally pushed me to do it. You're welcome! I'm glad you really liked it. The history of Dorian Gray is pretty interesting. 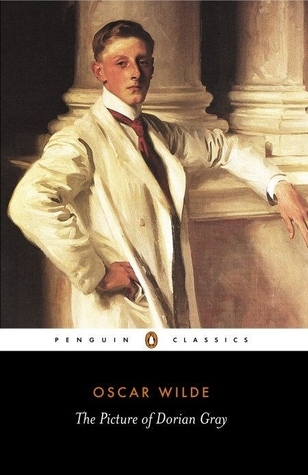 Wilde removed some of the stuff that had been deemed inappropriate and added a few chapters before it was published into the novel we have today. I imagine him thinking something along the lines of "if you don't want to read about these things that excite me, you must want to read these tedious lists of superficial studies instead..."
Oh, very interesting! I would have loved to read the original version, because I think your imagining of his thoughts may just be spot on. I read this one 10 plus years ago and don’t remember much. I do remember being emotionally involved though and that I liked it. I wonder how much will stick for me. I'm terrible at remembering books, but there are a few things I feel like I won't forget. That's a movie version I wouldn't mind seeing either. :) This is such a memorable story! I hope I can track it down! I just recently bought a copy of this at Walmart. They had the neatest floppy leather-covered one. Now I'm glad you liked it so much. I know one of the characters is the series Penny Dreadful was supposed to be Dorian, but I only watched a few episodes. I hope to watch the whole series this winter once football is over. Great review! I'm going to have to keep my eye out at Walmart. I'd love to own a print copy. I saw one episode of Penny dreadful. Let me know what you think of the series. I've never read this one either but now you've made me want to! Yeah, this is a great book - and I loved the black and white film too, it's got that vibe that older films have where they show you so little that you're on the edge of your seat with tension - until the picture is revealed!!! If you're tracking down b&w films I also recommend Rebecca - I love that film and the woman who plays Mrs Danvers is so good!